This electronic "thinking skin" is made from silicon-based printed neural transistors and graphene - an ultra-thin form of carbon. Professor Dahiya said the futuristic concept is inspired by the incredibly complex elements of real skin. 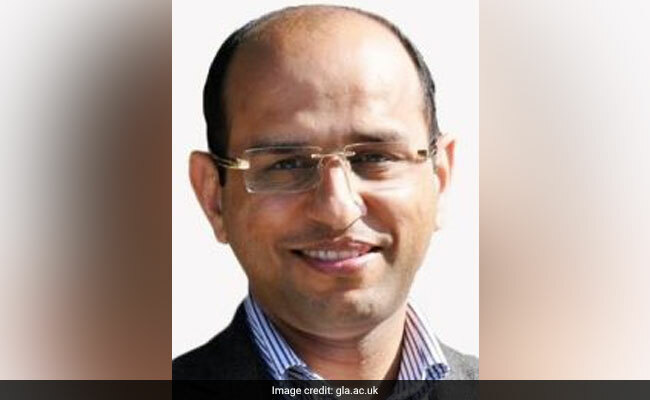 An Indian-origin scientist working on creating a robotic hand covered in so-called "brainy skin" that mimics the human sense of touch has won 1.5 million pounds in funding for the project. Professor Ravinder Dahiya, Professor of Electronics and Nanoengineering at the University of Glasgow's School of Engineering, said the futuristic "thinking skin" concept is inspired by the incredibly complex elements of real skin. The super-flexible, hypersensitive skin may one day be used to make more responsive prosthetics for amputees, or to build robots with a sense of touch. "Brainy Skin is critical for the autonomy of robots and for a safe human-robot interaction to meet emerging societal needs such as helping the elderly," said Professor Dahiya. Along with his Bendable Electronics and Sensing Technologies (BEST) team, the scientist has plans to develop ultra-flexible, synthetic "Brainy Skin" that "thinks for itself". Brainy Skin reacts like human skin, which has its own neurons that respond immediately to touch rather than having to relay the whole message to the brain. This electronic "thinking skin" is made from silicon-based printed neural transistors and graphene - an ultra-thin form of carbon that is only an atom thick, but stronger than steel. The new version in the making is said to be more powerful, less cumbersome and would work better than earlier prototypes. Professor Dahiya explains, "Human skin is an incredibly complex system capable of detecting pressure, temperature and texture through an array of neural sensors that carry signals from the skin to the brain. "Inspired by real skin, this project will harness the technological advances in electronic engineering to mimic some features of human skin, such as softness, bendability and now, also sense of touch. This skin will not just mimic the morphology of the skin but also its functionality. "The research, dubbed neuPRINTSKIN (Neuromorphic Printed Tactile Skin), received the latest 1.5 million pounds in funding from the Engineering and Physical Science Research Council (EPSRC). The team's work means tactile data is gathered over large areas by the synthetic skin's computing system rather than sent to the brain for interpretation. With additional EPSRC funding, which extends Professor Dahiya's fellowship by another three years, he plans to introduce tactile skin with neuron-like processing. This breakthrough in the tactile sensing research will lead to the first neuromorphic tactile skin, or "brainy skin". To achieve this, Professor Dahiya will add a new neural layer to the e-skin that he has already been developed using printing silicon nanowires. Professor Dahiya said that by adding a neural layer underneath the current tactile skin, neuPRINTSKIN will add significant new perspective to the e-skin research, and trigger transformations in several areas such as robotics, prosthetics, artificial intelligence, wearable systems, next-generation computing, and flexible and printed electronics.